Many people live paycheck-to-paycheck while others have no paycheck at all. We understand that we all need a little help from time to time. On this page you will find links to local agencies and resources to help you make it through those times of need. 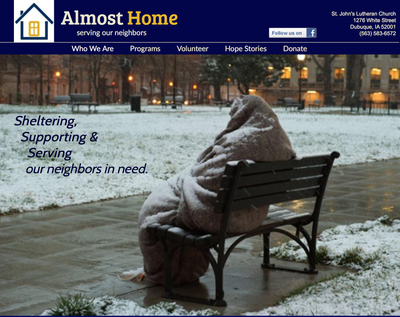 At Almost Home Dubuque puts people back on the path home by sheltering, serving and supporting our neighbors in need with beds, clothing, and connection to resources. "Lutheran Services in Iowa responds to the love of Jesus Christ through compassionate service through a variety of programs, ranging from early childhood education to behavioral and mental health services". Provides assistance, food, referrals to supportive services, employment and housing leads, and advocacy with community services. It is the only emergency shelter for women and children in the greater tri-state area. As part of the Opening Doors program, it also provides longer term housing, the Maria House, to help provide support and care to help the women become self-sufficient. A free health and human service information and referral resource. 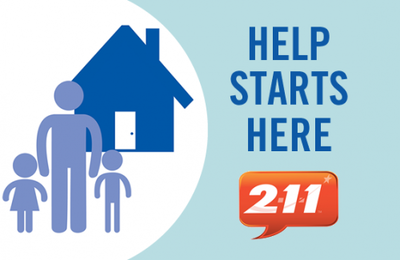 Informational and referral can also be reached at 1-866-469-2211. The Teresa Shelter provides assistance, food, referrals to supportive services, employment and housing leads, and advocacy with community services. It is the only emergency shelter for women and children in the greater tri-state area. As part of the Opening Doors program, it also provides longer term housing, the Maria House, to help provide support and care to help the women become self-sufficient.